Knowing oil and its characteristics means learning how to choose and fully appreciate it. Origin alone is not a guarantee of quality, because oil is good when it’s made well. Regardless of where olives are grown, they can have qualities and defects, like all produce. Nevertheless, the careful selection of cultivars and the typical climate of some Italian regions such as Umbria, Tuscany, Puglia and Sicily, and of some specific areas in the Mediterranean, facilitate the production of fine oils. European law prescribes that the front label must indicate the oil’s country of origin (link to Rules for the Trade of Olive Oil), and for this reason our products’ labels say “from olives harvested and pressed in Italy”, “100% Italian” or “from olives harvested and pressed in the European Union”. During the ripening phase, called veraison, olives change color several times: from green to yellow, to reddish, to purple, to brown, to black. Each variety has an optimal degree of maturation; extraction during this stage best enhances the oil’s sensory characteristics and achieves the best fragrance and flavor. Like wine and other natural products, a number of factors can affect an oil’s characteristics from year to year. For example, the amount of rain that the olive trees may be exposed to during the season can cause significant variations in the bitterness of the resulting oil. During some critical times of the year, you can notice a number of differences in flavor. In September, for example, all oils are 1 year old; however, within a few days the new oils are produced, and as bottles are filled within a short period of time, the difference between an oil from the previous year and a freshly pressed one can be obvious. 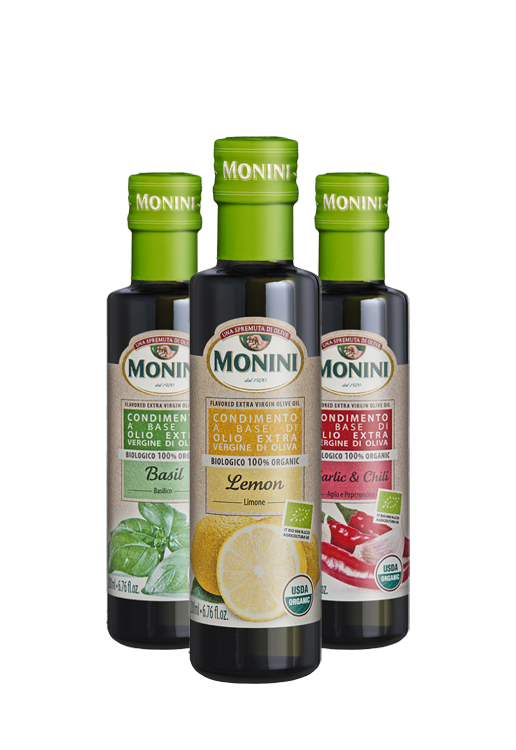 Monini strives to minimize these differences by leaving oils with a more intense flavor for the end of the season, and choosing the more delicate ones for the beginning. In this regard, it is not uncommon to hear terms such as “first cold pressing” or “cold extraction” – two denominations allowed by law that consumers associate to a specific quality meaning. Actually, “first cold pressing” refers to oils obtained by a traditional “pressure” extraction system, where oil comes from the first pressing. It is actually obsolete, as olives no longer undergo two extractions. Moreover, a traditional pressure extraction system today yields oil that is, at best, mediocre: the best quality oils are obtained from modern centrifugation systems. In any case, “cold extraction” only guarantees that the temperature did not go above 80ºF during the process. This alone is not enough to obtain a quality product, since the pressing of defective olives will still yield poor quality oil. Another misconception to debunk is that the cloudiness of the oil is an indication of quality. Oil can appear cloudy because it contains a significant amount of vegetable water and olive pulp pieces. The presence of water and olive pieces causes faster deterioration of the oil’s organoleptic and nutritional properties. The filtering process of extra-virgin oils enhances and keeps all the beneficial properties of the product intact, so that it can be preserved better and for longer. These are the seven golden rules we follow to obtain a perfect oil. 1. We use only healthy olives from young trees, in well-irrigated, parasite-free olive groves. 2. 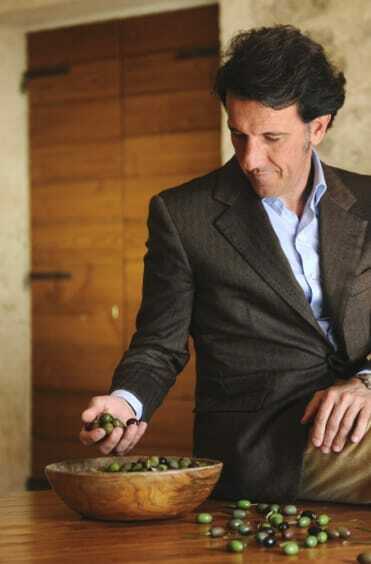 We choose olives ripened in a favourable climate, in regions naturally suited to olive growing. 3. We pick olives directly from the tree, either manually or mechanically, in nets placed under the tree; we never collect olives that have fallen to the ground. 4. We only use olives picked at the optimal ripening stage, when their fragrance is at its best, and discard overripe olives. 5. We transport olives to the mill in well-ventilated crates, as plastic or fabric bags encourage mold growth. 6. Crushing is carried out within 24 hours from harvesting, at the latest. 7. We use cutting-edge oil extraction systems, in accordance to hygiene standards.